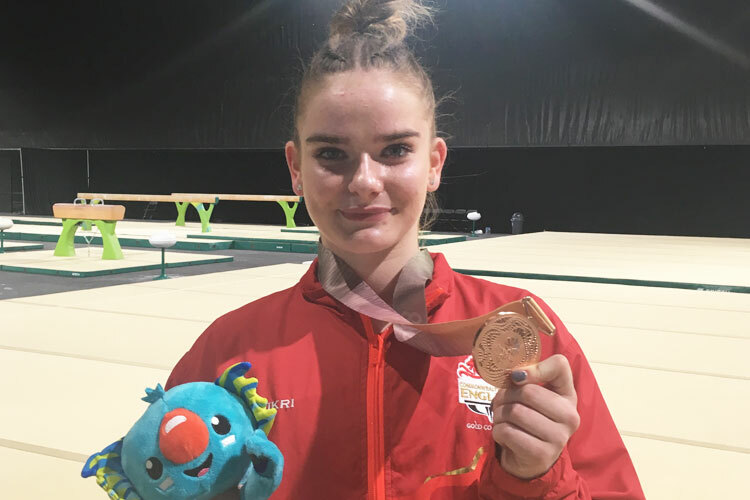 Laura Halford finished in fantastic 5th place for Team Wales with a superb all-around performance in the rhythmic gymnastics final at the Commonwealth Games. 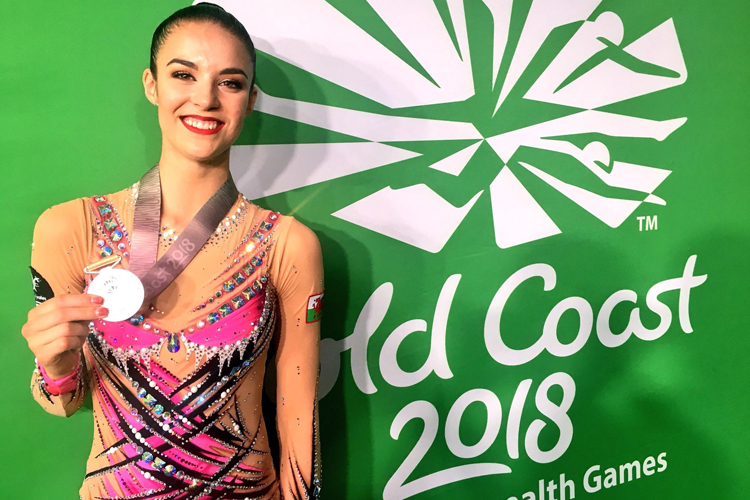 Laura kept her nerve, completing all four routines well in front of a packed crowd but agonisingly just missed out on the medal podium by less than a mark. For Team England, 15-year-old Hannah Martin impressed finishing in 7th place with Gemma Frizelle of Wales in 12th and Stephani Sherlock of England in 14th. The gymnasts began their competition with the hoop exercise. Laura made a good start despite one drop in her routine posting her a score of 12.450 whilst Stephani had difficulties scoring 9.500. Hannah Martin looked delighted with her excellently performed routine which gave her a superb 13.250 marks. Gemma Frizelle also started well completing her fast paced routine with confidence scoring her 11.000. On to the ball exercise Laura put in a great display with control throughout to score her 13.300 marks. Stephani completed a nice ball routine for 10.850. 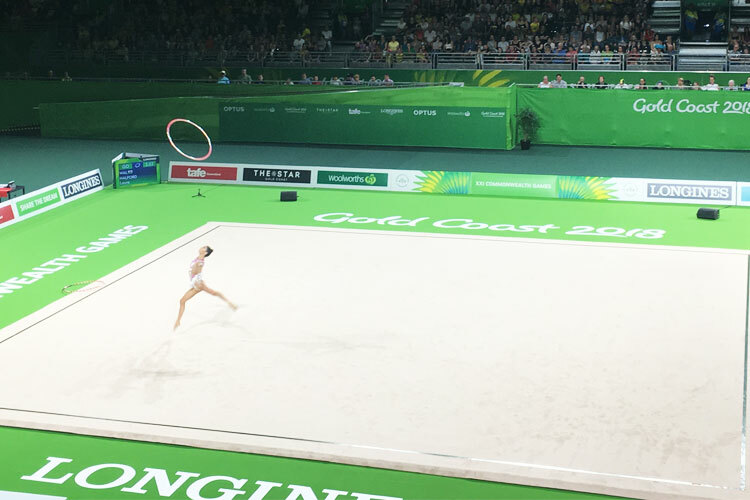 Hannah’s routine was joyous, a thumbs up to her coach confirmed how happy she was, and she scored 12.000 points. 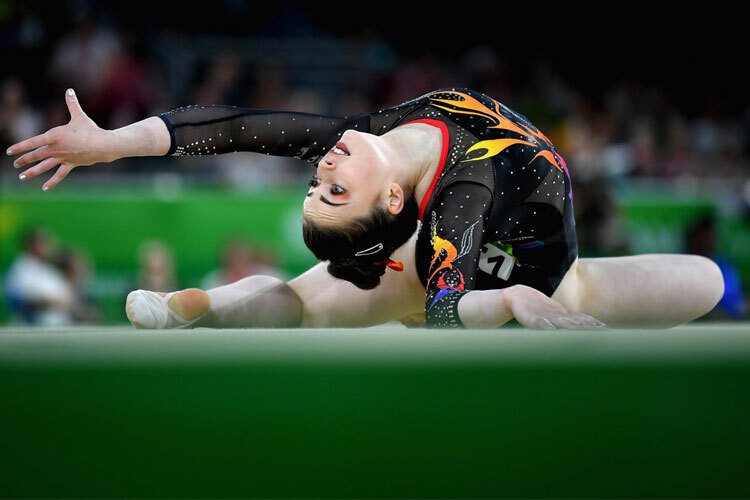 Gemma Frizelle’s routine was again impressive scoring her 11.650. At the halfway stage that meant Laura was 4th, Hannah 6th, Gemma 12th and Stephani 13th out of the 16 competitors. With clubs, often the most testing apparatus, Laura continued her fine form with a near faultless performance for a brilliant 13.300 points. Stephani’s routine was packed with difficult throw and catch elements with one costly fumble mid routine scoring her 10.350. Hannah Martin’s routine was full of energy. Sadly she couldn’t quite grasp one club on the very last skill but still scored an impressive 12.250. Finally on to the ribbon apparatus. 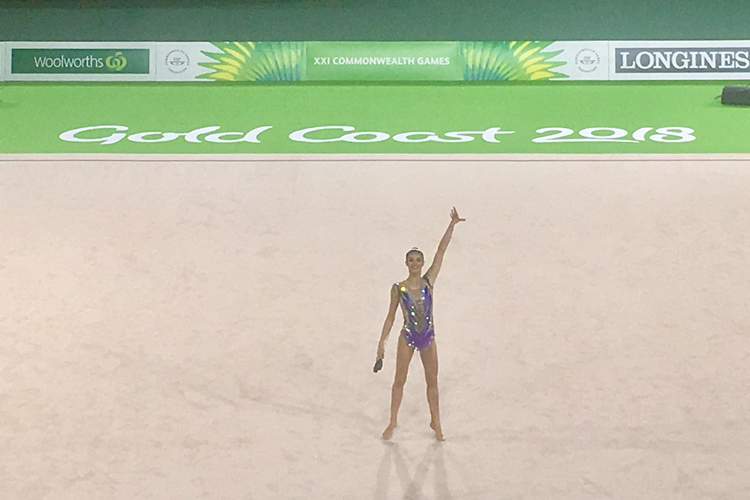 Laura completed her campaign with her fourth excellent routine to score her 11.600 for an all-around total of 50.650 points. Stephani Sherlock finished with a nice performance for a score of 10.700 and total of 41.400. Hannah continued her great final, scoring 11.850 for a total of 49.350 points. Last up Gemma Frizelle produced and fantastic final routine scoring 11.200 for a total of 43.125 points. 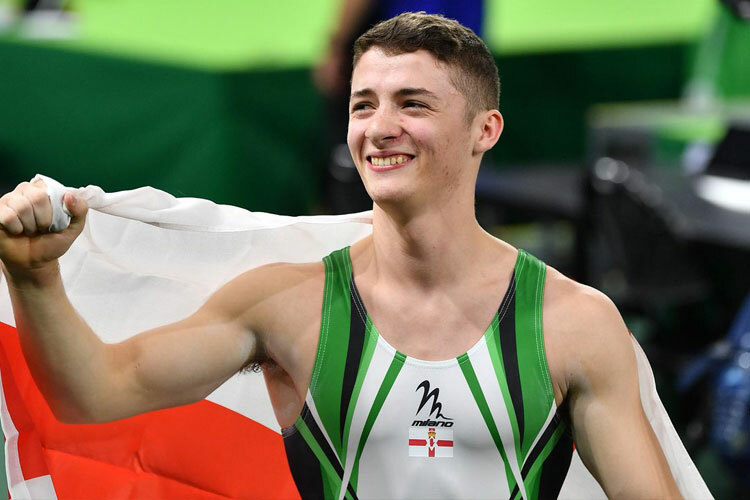 Friday sees the final day of gymnastics competition with Laura Halford in the hoop, ball and ribbon finals, Gemma Frizelle in hoop and Hannah Martin in ball.